LEGARDEUR DE SAINT-PIERRE, JACQUES, officer in the colonial regular troops, explorer, interpreter; b. 24 Oct. 1701 at Montreal, son of Jean-Paul Legardeur* de Saint-Pierre and Marie-Josette Leneuf de La Vallière; killed in the battle of Lac Saint-Sacrement (Lake George), 1755. Jacques Legardeur de Saint-Pierre was a descendant of several prominent families of New France; he was a grandson of Jean-Baptiste Legardeur* de Repentigny and great-grandson of Jean Nicollet* de Belleborne. His father, Jean-Paul, spent many years in the pays d’en haut and in 1718 founded the post at Chagouamigon (near Ashland, Wis.). There is some evidence that while he was still in his teens Jacques joined his father at the post. 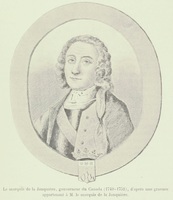 Several accounts from Montreal praised Jacques early in his career for his knowledge of Indian languages and life; for example, in 1732 Governor Charles de Beauharnois claimed that Jacques had been in the west for nine years and “Knows the savage language better than the savages, as they themselves admit.” Jacques was to be one of the foremost advisers on Indian affairs in New France. A frustrating experience for the talented Legardeur was his period as commandant at Fort Beauharnois (on Lake Pepin, Wis.-Minn.), 1734–37. In its brief career the fort had to be moved several times, but Montreal merchants continued to hope the area would develop into a major fur trade zone. Indian rivalries prevented this result. Legardeur was a master at strong-arm diplomacy, but even his method did not work in this no-man’s-land: the fort was theoretically in Sioux country, but there were several factions of Sioux constantly quarrelling; the notorious Sauks and Foxes were nearby, and they always meant problems for the French; also in the vicinity were Crees, Assiniboins, and Ojibwas. This last group and the Sioux were traditionally bitter enemies, and Legardeur finally found his position as referee untenable. Fearing that the garrison would be slaughtered by the Sioux, Legardeur abandoned and burned the fort on 30 May 1737. Legardeur was promoted lieutenant in 1741. After a short stint about 1742 as commandant of the Miami post (probably at or near Fort Wayne, Ind. 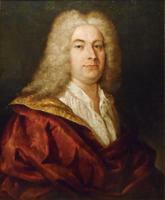 ), Legardeur returned to Montreal, where he carried out many assignments during 1745–47. 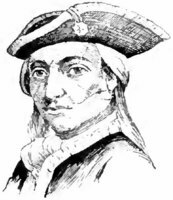 In December 1745 he led a contingent to the relief of Fort Saint-Frédéric (Crown Point, N.Y.), under threat from the British; in July 1746 he took a detachment of Abenakis to Acadia to help prepare for battle against the English; in the spring of 1747 he led an attack in Mohawk country. This last effort must be called a failure, because Legardeur’s Indian allies were over-eager and fired so early that the Mohawks were warned. Legardeur did, though, take some Mohawk prisoners back to Montreal. 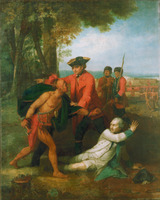 In June 1747, with militia and Indians, he and Louis de La Corne rushed to the Lachine area and warded off an attack from a party of Indians and English. Indian troubles erupted in the pays d’en haut in 1747, and for some time it seemed that the French were losing their allies [see Orontony]. Several Frenchmen were murdered and trade was disrupted. Because of his talent and experience Legardeur was sent to command at the strategic post of Michilimackinac, where he could influence events in the entire Upper Lakes area. According to Governor La Galissonière [Barrin] ost of the French officials were ineffective in resolving problems with the Indians, but Legardeur showed “good management,” and forced the Indians to deliver the murderers and ask for peace. In 1748, still serving at Michilimackinac, he was promoted captain. A fragile peace was arranged in the region, and in the spring of 1749 Legardeur asked to be relieved. On 26 July of that year he was replaced by François Lefebvre Duplessis Faber and returned to Montreal. 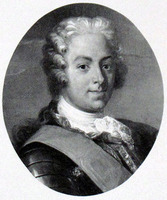 Legardeur’s interests and talents were still associated with the pays d’en haut, and in 1750 Governor La Jonquière [Taffanel] appointed him to lead in the search for the western sea, a project that had been hindered by the death of Pierre Gaultier de Varennes et de La Vérendrye. However he was soon involved in a quarrel with Louis-Joseph and Pierre Gaultier de La Vérendrye, who insisted on some role in the search and glory. Legardeur eventually realized that the La Vérendrye family had cause to feel slighted, and he apologized. On 5 June 1750 Legardeur left Montreal. After several weeks at Michilimackinac in July, he set off again for Fort La Reine (Portage la Prairie, Man.) where he arrived that fall. During the two years he spent at this post, Legardeur, despite what some historians say, travelled several times to the area of the Red and Winnipeg rivers and Lake of the Woods. He was constantly forced to calm Indian rivalries; it seems that in 1752 he handled major negotiations alone between Cree and Sioux warriors. 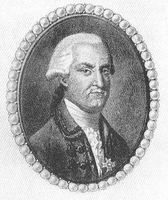 The search for the western sea was of course fruitless, but under Legardeur’s orders and directions a party, led by Joseph-Claude Boucher* de Niverville, did in 1751 establish Fort La Jonquière (probably in the Nipawin, Sask., area). Washington returned to the region in 1754, was involved in the notorious assault on the party of Joseph Coulon de Villiers de Jumonville, and was eventually defeated, captured, and released by the French at Fort Necessity (near Farmington, Pa.). Diplomacy was forgotten, and the French and English once again battled for control of the Ohio country and all of North America. 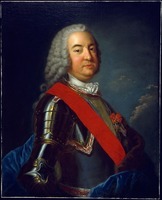 In 1754 Legardeur was recalled to Montreal to help in gathering forces for the coming actions. The Baron de Dieskau, a German in the French service, prepared a major offensive in the vicinity of Lac Saint-Sacrement and on 4 Sept. 1755 Legardeur was sent with a force of Canadian militia and hundreds of Indians to accompany him. The battle of Lac Saint-Sacrement occurred on 8 September, actually a series of three major conflicts. In the first, shortly after 10:00 a.m., Legardeur, leading his Indian warriors, was killed at once. 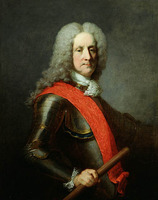 His loss affected the Indians deeply, and Governor Vaudreuil [Rigaud*], other French leaders, and even the British commented that the loss of Legardeur could be a major factor in the coming battles. During the French régime few professional military men could match Legardeur’s combination of bravery, intelligence, and dedication. For most of his career he was in far-flung outposts, where his knowledge of frontier life and Indian languages made him indispensable to a series of Quebec officials. He was frequently sent on trouble-shooting missions; he was a logical successor to La Vérendrye; he performed well in the Ohio country; he was awarded the cross of Saint-Louis; and he died in action. Although his highest rank was that of captain, his services to France were significant and well recognized. On 27 Oct. 1738 he had married Marie-Joseph, daughter of Charles Guillimin*, in Quebec; they had no children. His widow remarried in 1757, to Luc de La Corne*, dit La Corne Saint-Luc. AN, Col., C11A, 53, p.296; 73, p.166; 76, pp. 186, 255, 307; 117, pp. 3, 227, 259, 305; 118, pp. 154, 216, 236, 248, 275, 276, 293, 298, 303, 334, 354; 119, pp.35–38, 39–49, 56–57, 63, 168, 182, 364; D2C, 222/2, p.161 (PAC transcripts). St Ann’s Parish (Mackinac Island, Mich.), Registre des baptêmes, mariages et sépultures de Sainte-Anne-de-Michillimakinak, 1695–1821. “Correspondance de Mme Bégon” (Bonnault), APQ Rapport, 1934-35, 53, 178. Découvertes et établissements des Français (Margry), VI, 637–52. Extraits des archives de la Marine et de la Guerre (Casgrain), 38–41, 97–98. French regime in Wis., 1727–48 (Thwaites), 165–66, 187, 255–59, 262–74, 478–79, 505–12. “French regime in Wis., 1743–60” (Thwaites), 19–22, 76–79, 133f. “Lettres et mémoires de l’abbé de L’Isle-Dieu,” APQ Rapport, 1936-37, 446. NYCD (O’Callaghan and Fernow), VI, 1006–7; X, 81, 105, 258–59, 318–22. PAC Report, 1886, clvii-clxiii. Fauteux, Les chevaliers de Saint-Louis, 150–51. Le Jeune, Dictionnaire. Massicotte, “Répertoire des engagements pour l’Ouest,” APQ Rapport, 1929-30, 315; 1930-31, 395, 396. A.-G. Morice, Dictionnaire historique des Canadiens et des Métis français de l’Ouest (Québec, 1908), 273–75. Champagne, Les La Vérendrye; Nouvelles études sur les La Vérendrye. H. H. Peckham, The colonial wars, 1689–1762 (Chicago, London, 1964), 130–31, 150–51. G. M. Wrong, Conquest of New France; a chronicle of the colonial mars (Toronto, Glasgow, 1921), 130–35, 150–55. Edmond Mallet, “Jacques Le Gardeur de Saint-Pierre,” BRH, V (1899), 233–36. E. D. Neill, “Last French post in the Mississippi Valley,” Magazine of Western History (Cleveland), VII (1887), 17–29. P.-G. Roy, “La famille Legardeur de Repentigny,” BRH, LIII (1947), 201–4. Donald Chaput, “LEGARDEUR DE SAINT-PIERRE, JACQUES,” in Dictionary of Canadian Biography, vol. 3, University of Toronto/Université Laval, 2003–, accessed April 26, 2019, http://www.biographi.ca/en/bio/legardeur_de_saint_pierre_jacques_3E.html.